The RF Explorer® RackPRO™ is 1RU full featured spectrum analyzer for managing and monitoring any wireless audio system from a laptop or equipment rack. Powerful frequency coordination and interference monitoring is now easy to master and within budget for venues large and small. While most spectrum analyzers offer laboratory precision across wide frequency ranges, the RackPRO is designed with essential features that operate only in the range required for wireless mics and IEMs. Never fly blind again with real time, scalable visualizations. The RackPRO delivers a real time view of RF activity so you can stay ahead of interference and have confidence in your wireless systems. Software is sold separately. The RackPRO is compatible with VANTAGE for Mac OS X users, and Clear Waves®, from Nuts About Nets, for Windows users. 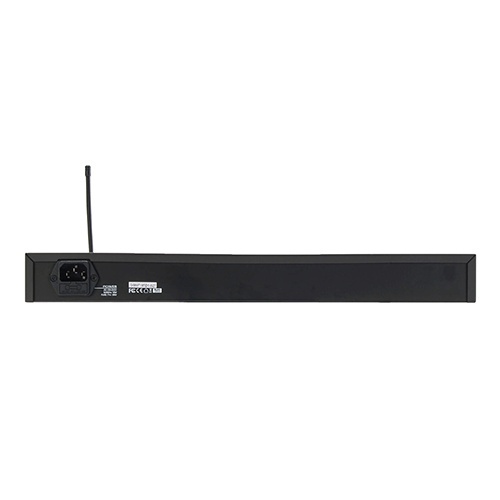 Both programs offer frequency monitoring and export frequency sets to Professional Wireless Systems® IAS, or Shure® Wireless Workbench compatible files. What does the RackPRO do? The RF Explorer RackPRO is a spectrum analyzer designed to meet the needs of audio professionals requiring professional grade coordination of wireless microphones, IEMs, and other wireless audio devices operating between 240-960 MHz. The hardware analyzer is the image you see above. It is housed in a 19” rackmount chassis for road-ready functionality. Software is recommended for full featured operation, and is sold separately. The RackPRO is compatible with VANTAGE for Mac OS X users, and Clear Waves®, from Nuts About Nets, for Windows users. 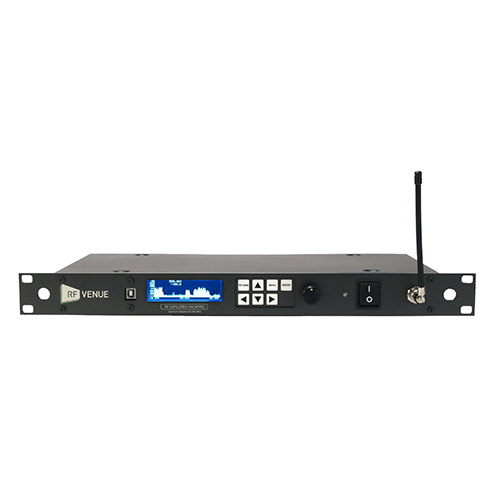 Both programs offer frequency monitoring and export frequency sets to Professional Wireless Systems® IAS, or Shure® Wireless Workbench compatible files.